Lisa Somerville has created a wonderful card! Her use of the eBrush is smooth and classic. The mood accomplished is fun and light hearted with a vintage feel! I love it so! Hi, and welcome to the Craftwell Blog, Lisa here today, sharing another card I created using the eBrush along with products from this month's sponsor, Crafter's Companion. They have provided the eBrush design team with Spectrum Noir Markers and Sheena Douglas Stencils to use on our projects this month. 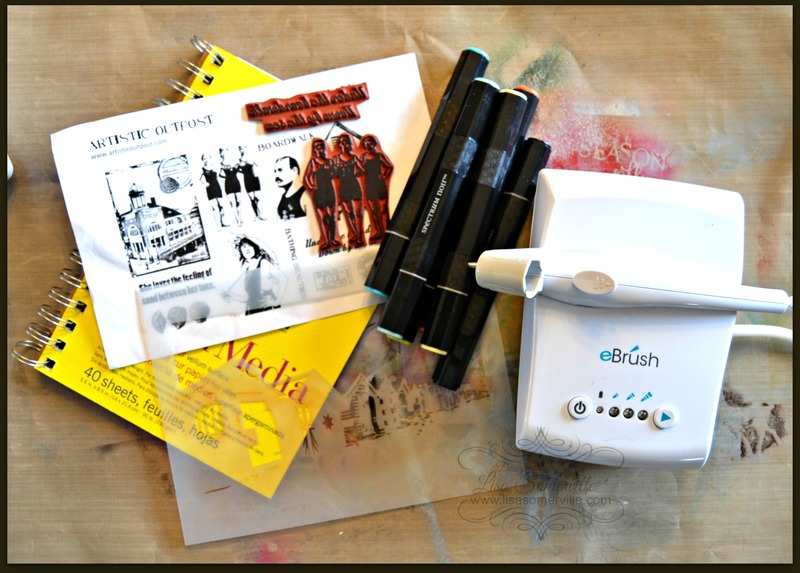 Working on a non-stick craft sheet, use the eBrush and Spectrum Noir Markers to apply color to the Mixed Media paper. I started with BT9, BT2, CR10, LY1 and ended with DG2. 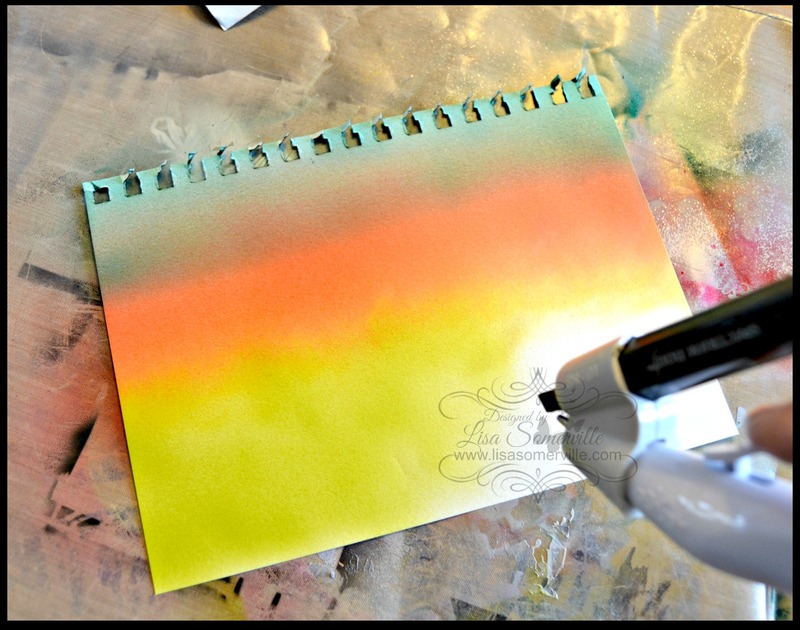 Use tissue tape to adhere the colored panel in place on your non-stick craft sheet. 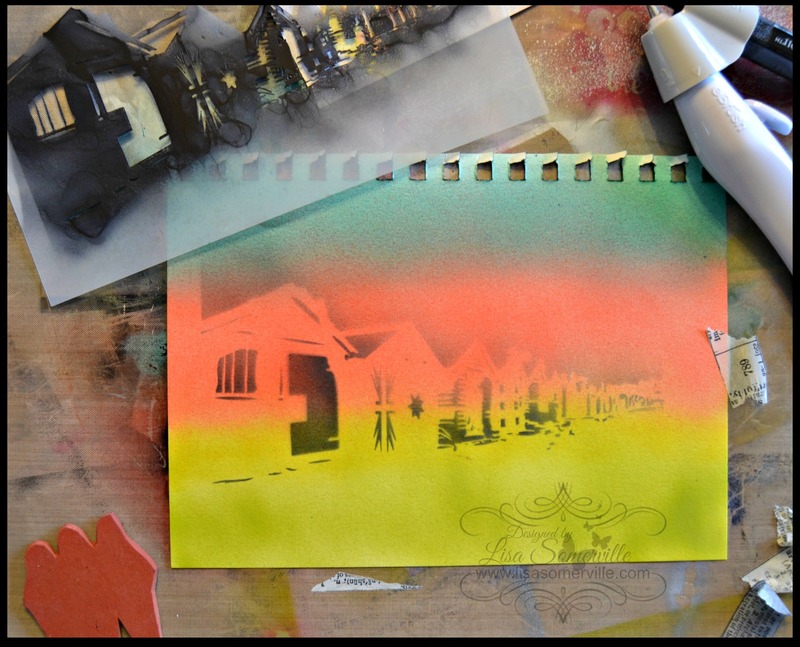 Position the Beach Huts Stencil where you would like it to appear on your paper, adhere in place with Tissue Tape. Using the eBrush and Spectrum Noir Markers (I used IG4), spray around stencil and the openings of the stencil. 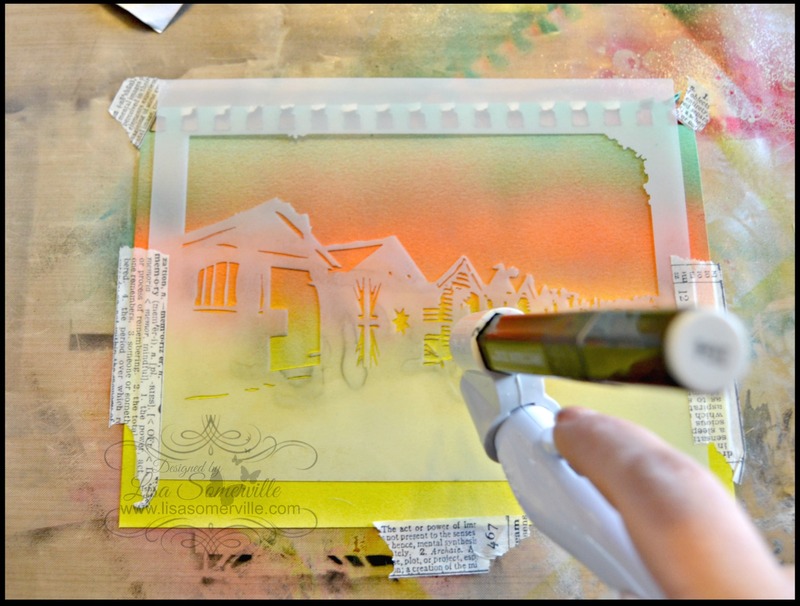 Leave stencil in place and repeat using IG6, to reapply color to just the openings of Beach Huts. Remove stencil, use background piece as desired. To finish my card I stamped the bathing beauties from the Artistic Outpost Boardwalk stamp set on White card stock, colored them with the Spectrum Noir Markers and adhered to the card using Matte Medium. The sentiment was stamped on scraps of the background panel, adhered to Black card stock, then adhered to the base card using Matte Medium. I added a few flicks of Modeling Paste to complete my card.